Spring is finally here ... and that makes this beauty chick excited to sip margaritas at outdoor happy hours, wear skirts with flip-flops and no tights, and -- of course -- to see pretty flowers! But while I'm waiting for tulips and crocuses to spring up, I can at least content myself with one of the hottest beauty trends for spring -- products with floral packaging! From blush crafted in the shape of blooming peonies to perfume bottles emblazoned with tangling vines, there are gorgeous blooms popping up everywhere. The beauties below simply make me blossom with happiness! 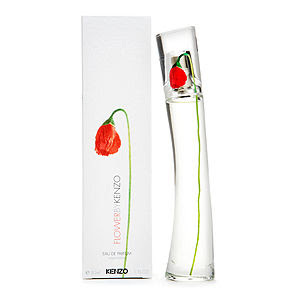 Kenzo Flower by Kenzo Eau de Parfum ($57 at sephora.com): A single poppy wends its way up the curved bottle, packed with a beautiful blend of violet, vanilla and rose for sweet seduction. CARGO PlantLove Botanical Lipstick($20 each at beauty.com): The botanical formula is infused with Orchid Complex, meadowfoam oil, shea butter and jojoba to keep lips soft and smooth. And the tube is made out of corn, which makes it environmentally-friendly! Stila Creme Bouquet Hair Refresher ($28 at beauty.com): Does your hair need a pick-me-up after a long flight, intense workout or, well, you slept in after your late night and have five minutes to get ready for work? Spritz on this oil-absorbing spray, scented with the gorgeous aroma of vanilla and amber.